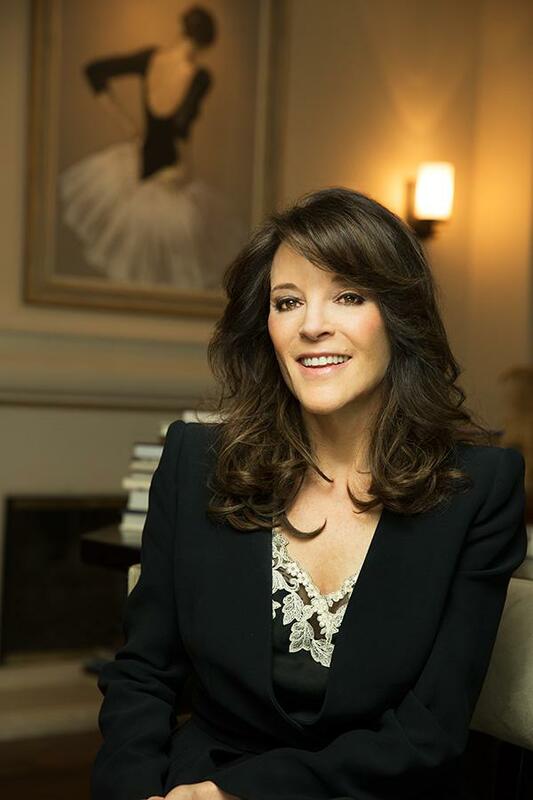 On a sunny January afternoon, in the Los Angeles home of Marianne Williamson – internationally acclaimed spiritual teacher, lecturer, and author of 11 books (4 of which were #1 on the New York Times bestselling list) – we convened for a Best Self Magazine soul chat. Kristen: Twenty-four years ago, you published a book that is now deemed a classic — A Return to Love, awash with messages both timely and timeless. In ways it seems more relevant today than perhaps when it was first written? Marianne: I don’t know if it is more relevant today, but it was more revolutionary then, because these conversations weren’t happening yet. Kristen: But I think we still need it. Marianne: When you are talking metaphysical information, it is eternal – it was needed 1,000 years ago and it will be needed 1,000 years from now. As with physical exercise, you never get to stop. You don’t just learn metaphysical information­ – you learn to apply it and to practice it…you never get to stop. You do that to hone your attitudinal muscles every day the way you do your physical muscles through exercise and yoga. Kristen: How does a young girl from Texas grow up to become this fierce spiritual teacher, who went so far as to throw her hat into the political ring in a run for a U.S. Congressional seat? Marianne: I started reading A Course in Miracles (ACIM) – and it says that the teacher is a half step ahead in time. My path hasn’t been that different than that of many people, it’s just that I started earlier. I started reading ACIM in the 1970s and by 1983, I had started lecturing on the books. Kristen: I want to make sure that everyone understands what A Course in Miracles is. Marianne: ACIM is a set of books. It has been referred to as a self-study program of spiritual psychotherapy. It is not a religion. There is no doctrine, no dogma. It is a psychological mind training based on universal spiritual themes. And the goal of the Course is the attainment of inner peace. The training is in relinquishing a thought system based upon fear, and instead accepting a thought system based on love. It means aligning ourselves with the truth of who we are. The consciousness that dominates this planet is not true to who we are. Our seeking to find meaning and happiness within the confines of the worldview and the structure that now prevails is fruitless. It’s hopeless, because that’s not where love can be found, that’s not where hope or meaning can be found, nor is that where peace can be found. You make a choice, whether consciously or unconsciously, as to what purpose you ascribe to your experience here. If you ascribe to your experience on this planet that you be used as a vessel of love and your mortal experience be used as an exultation of that love, then you can find happiness and peace and purpose on this planet. But if we live here with any other purpose in mind, grasping for something that this world can’t give us, then life is sorrowful and fearful and sometimes deeply destructive. Kristen: How did you find the Course, or did the Course find you?